Carry On Girls. 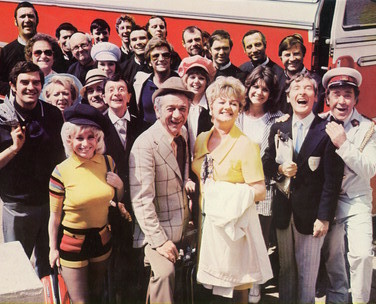 The Carry On cast in a publicity shot for the 1973 comedy Carry On Girls.. Wallpaper and background images in the Carry On फिल्में club tagged: carry on girls carry on movies british films comedy films photos. This picture is from Carry -On Abroad. Carry On Girls was the Beauty Contest..